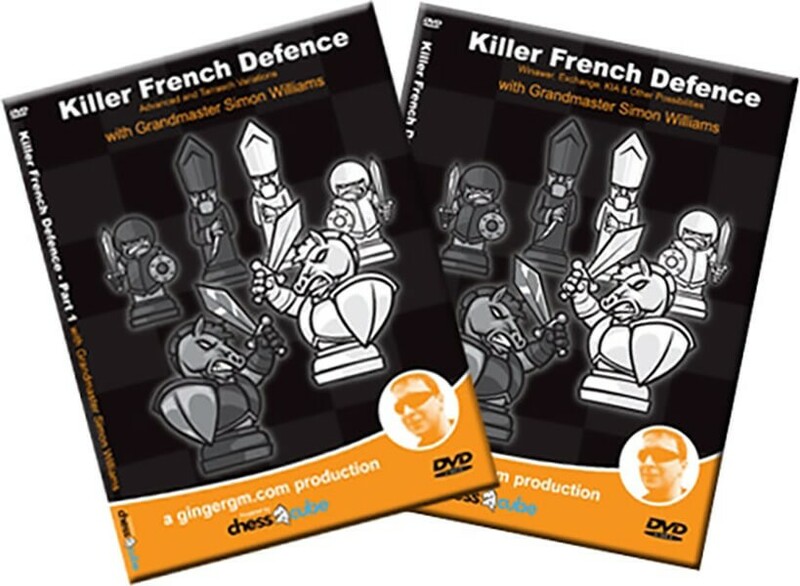 In Grandmaster Simon Williams' second DVD, he will guide you throughBlack's part in the French Defence. Simon's frank, clear and understandable delivery of material of which he has extensive knowledge certainly aids the viewer in increasing their understanding of these opening lines. Simon's first DVD has been internationally acclaimed as setting new standards in this format for his clear approach to delivering sometimes complex material. Chapters are broken up through chess-related montages maintaining a viewing interest from start to finish. This feature is a standalone product running on all platforms and requiring no additional software. * DVD 1 covers The Advance Variation and Tarrasch Variation. $29.95. The following Video is a excerpt that was taken from one of the DVDs from the Video Series Killer Chess but may not necessarily reflect the actual DVD that you are browsing.